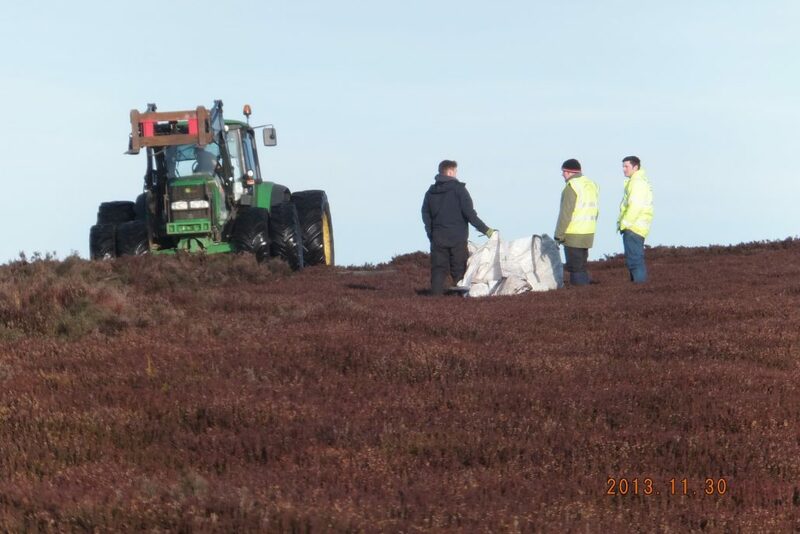 In the past five months our peatland restoration team has cut over 12000 bags of double chopped heather brash. 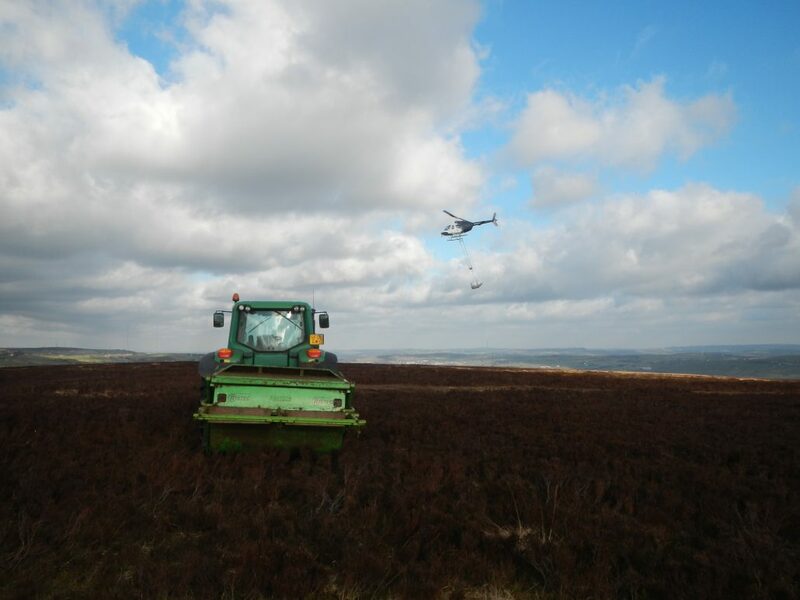 That brash has then been used to restore approximately 76 hectares of bare peat. 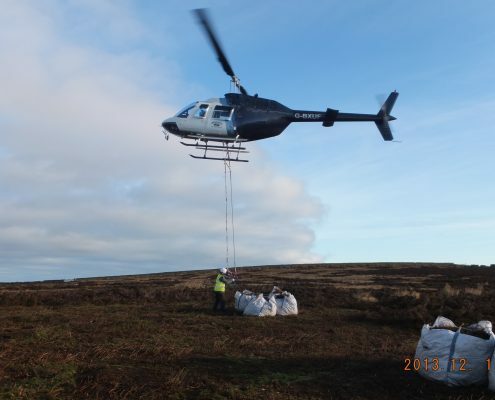 This is one of the largest areas of bare peat to be restored in a single year. 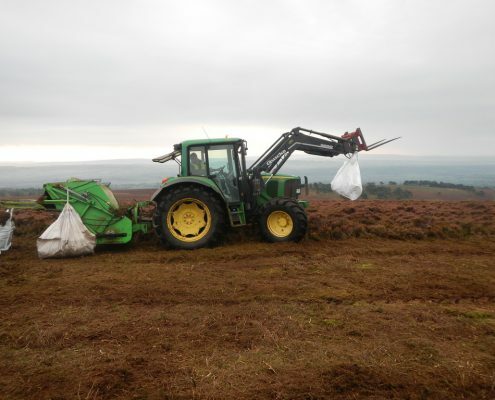 The team worked through awful weather conditions to ensure our clients recieved good quality heather brash on time and within budget. 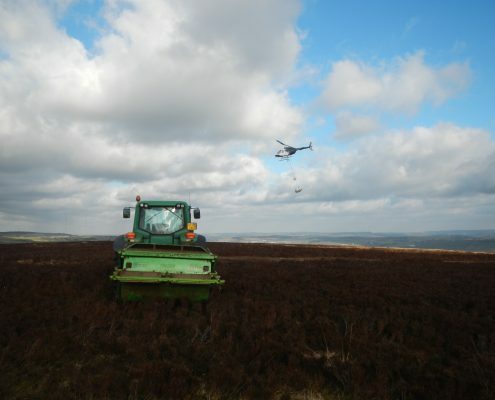 The amount of heather brash required is calculated from aerial photographs. 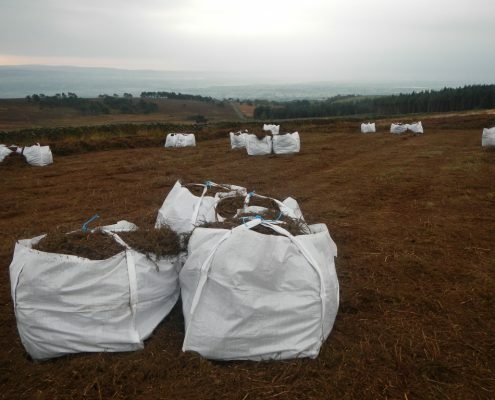 The material is delivered in 90x90x90cm dumpy bags. 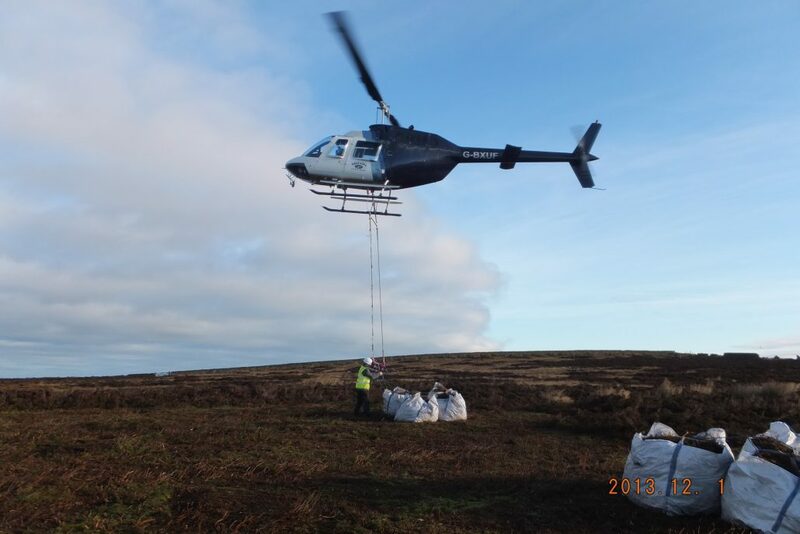 To calculate the amount of brash required an 8.5m x 8.5m grid is drawn onto aerial photographs in a GIS program. Those areas not over bare peat are deleted; leaving an estimate of the number of squares (i.e. 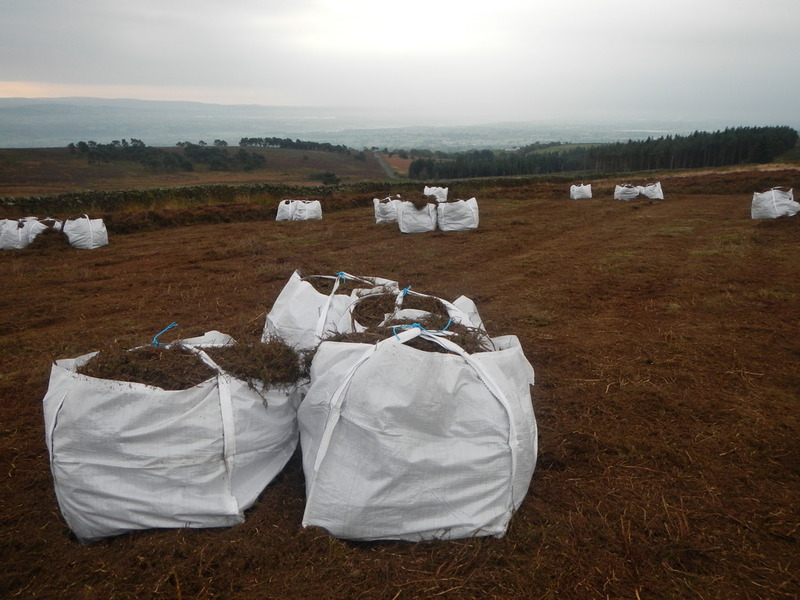 the number of bags of heather brash) required covering the bare peat. The areas are then ground-truthed on site. 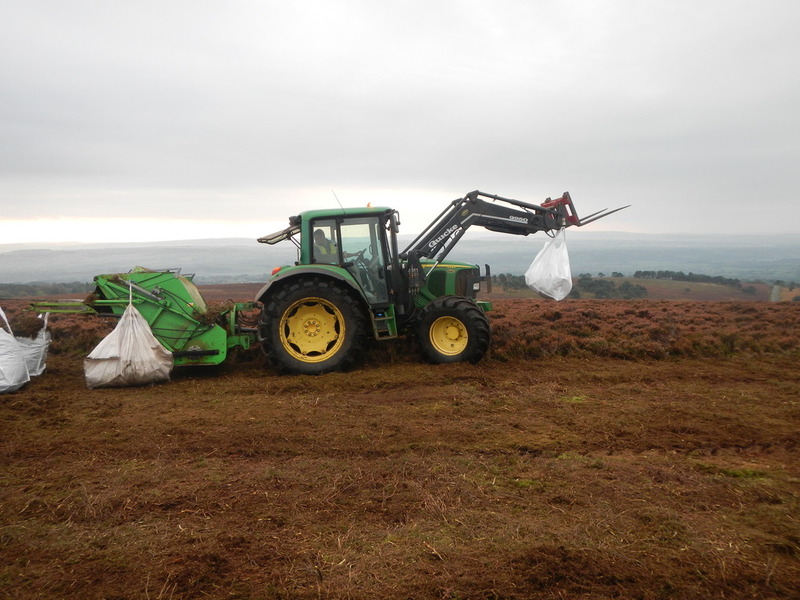 One dumpy bag of brash covers approximately 64 square metres of ground to a depth of 1cm. 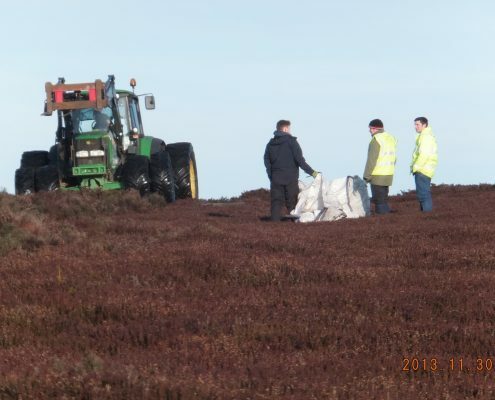 Heather must be from sites above 200 metres in height.